The purpose of Launchpad is to help you to easily find the right page, report or setting in the AppsFlyer dashboard. 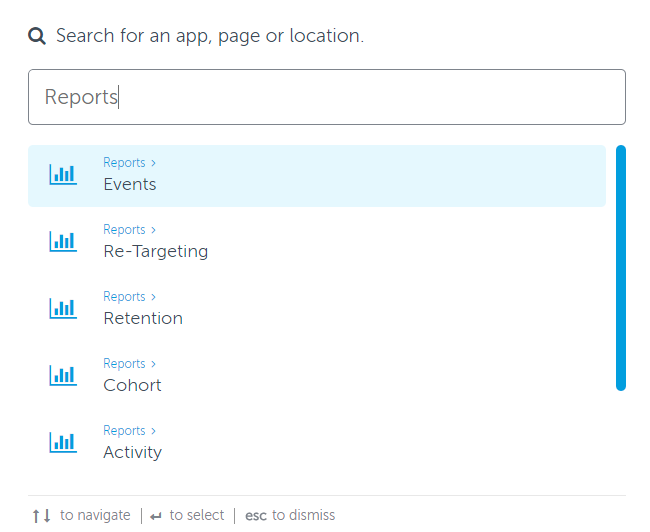 All links are aggregated into one single interface for a certain page, making it simpler for you to navigate across apps and reports. 2. Enter the search term you are looking for. In the example below, we searched for Reports. Launchpad only shows the links to pages that you have permissions to view. 3. Click the link in the search results to send you directly to the required result.